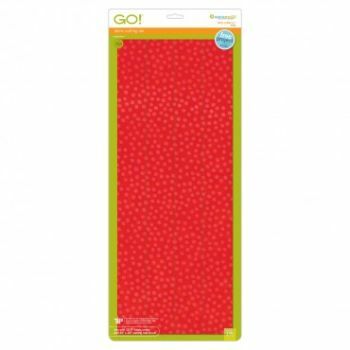 Make binding, narrow borders, string piece, and 1 3/4" finished sashing in a flash with the GO! Strip Cutter. This die makes quick and perfect work of cutting 2 1/4" strips from multiple layers of fabric. The razor-sharp blades are 23" long and open at both ends to cut folded fabric right off the bolt.